Storytelling my way to a dream vacation! Meeting new people is easy when we can read their minds. Discover how strangers automatically size us up in seconds using three basic standards. Once we know how and why strangers will accept us, meeting new people is easy. We can control the outcome. We don't have to be a psychologist or an outgoing superstar. All we have to do is use these little formulas to instantly bond with the new people we meet. 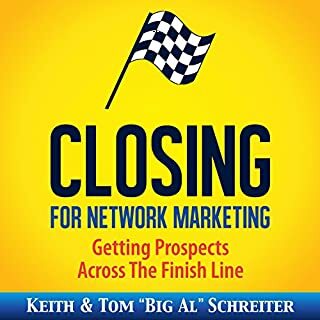 Insanely Effective Network and Multi-Level Marketing for Introverts on Social Media: Learn How to Build an MLM Business to Success by the Top Leaders in the Field and Why You Need to Start Right Now! Do you have problems promoting your products and events? Choosing the right company? Mastering your mindset for growth? Or leading your team effectively? 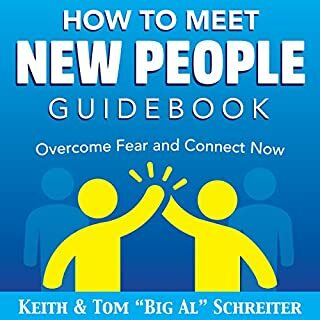 If you do, within this book some of the top leaders in the field have shared their knowledge on how to overcome these problems and more, most of which have 10+ years’ worth of experience. Great listen and nice tips! Too busy to build a network marketing business? Never! Anyone can set aside 15 minutes a day to start building their financial freedom. Of course we would like to have more time, but in just 15 minutes we can change our lives forever. How can we do this? With hyper-efficient ninja tricks, shortcuts, and focus on the activities that will pay off now. Learn how to make invitations and appointments in seconds, with no rejection. Get immediate decisions from our prospects without long, boring sales presentations. Instead of chasing people, plant seeds so they will come to us. And follow-up? Easy when it is automated. And what is the best part about having the skills to build in minimal time? Now we can talk to even the busiest of prospects and assure them they can fit our business into their schedule. Never worry about the "I don’t have time" objection again. Don't let a busy life stop us from building our future. Discover the skills to change our lives in just 15 minutes a day. Great book. Very practical and to the point. Everyone can benefit from the knowledge offered. Loved it. 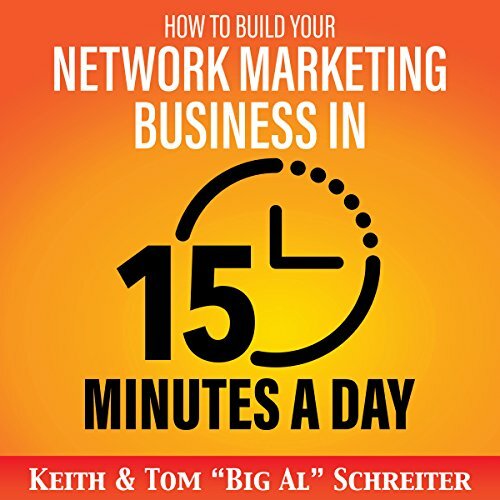 A must read for network marketers! If you truly desire growth in your business I recommend it reading this book or getting audio version! I couldn't stop the book till I finished it. I loved it. Gunna listen to it many many many more times. it was the best book to listen to and completely changed my perspective on building a business. 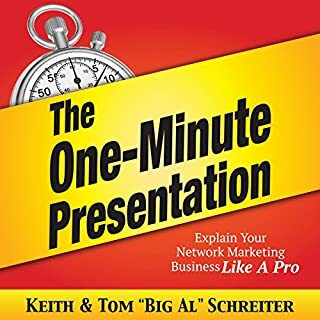 I found that there was a lot of helpful information in this book but a lot of it was presented as a list which was very boring to listen to and very repetitive. It would be better to have the book so you can skim through things to say and pick the best one for your situation. it is short book with a lots of good advices and information with examples. Thank you! There are so many simple things to do that I had never thought of. I can't wait to try some of these for my business! 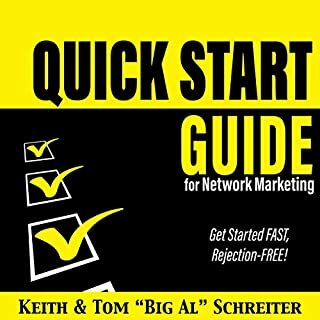 every Network marketer needs this!!! no more wasting time. get right to the point by keeping things simple, speaking to the person's decision maker, and planting more seeds in less time!! A must read for all newbies! Great training for all those who wish to build the networking business for the longhaul. Shortens one's learning curve. I have been in the network marketing business for 6yrs now and still found it valuable. Invest in your personal development, it is your greatest asset. Enjoy!!! Absolutely loved this. For me the best book or audio I have used. 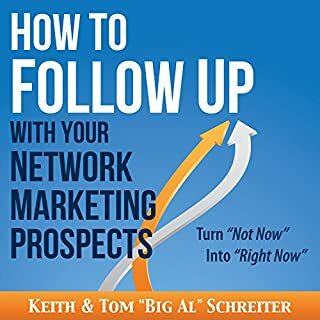 Great, in depth tips and full guidance on how to communicate, engage prospective clients and team members without being salesy or tying myself in knots. 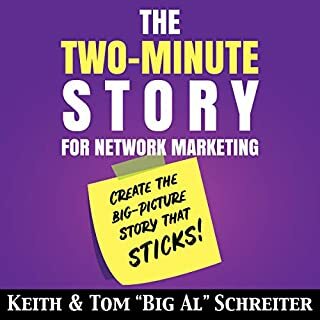 Together with my simple strategy I feel confident now, after 3 years in network Marketing, to finally grow my business, to help people, using the knowledge gained in this book and recommending it to anyone who wants to do the same, including my current and prospective team. Invaluable!!! Fab for network marketers old and new. Great tops to implement or always remember! Buy it now!